I am starting to love a good kitchen gadget! I've gone from having barely any to having too many to fit in my cupbaords! 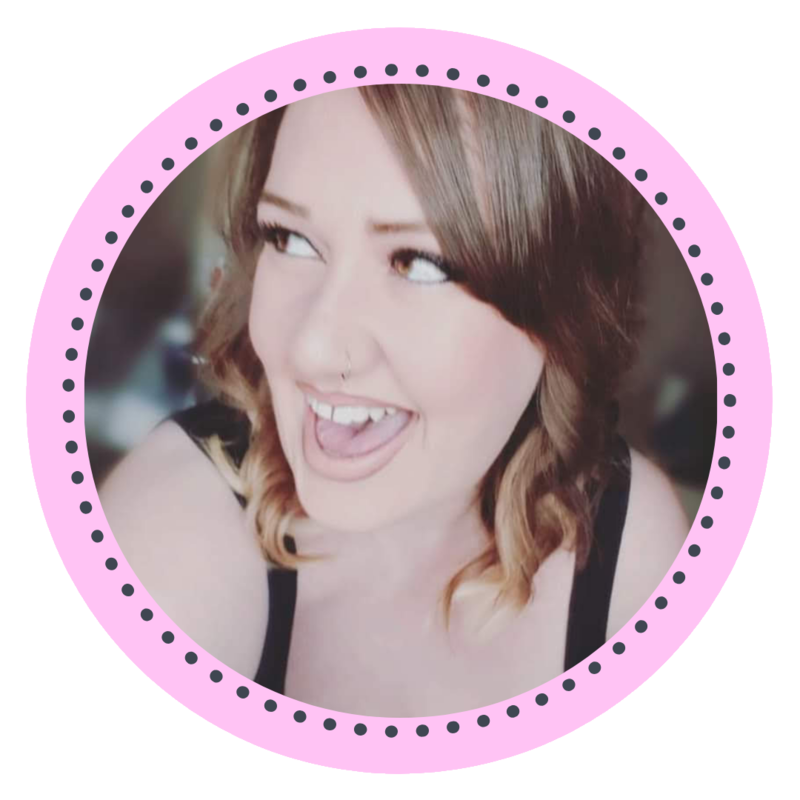 Currently my 2 favourites are my slow cooker and my Tefal Actifry, both perfect when following a heath eating plan. I have previously used an electric fat reducing grilling machine, but gave up using it after it was so hard to clean up! 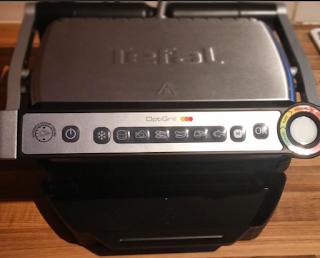 When I was asked to review the new Tefal Optigrill I was SOOOOO excited to try it out and come up with a yummy recipe to use it for. 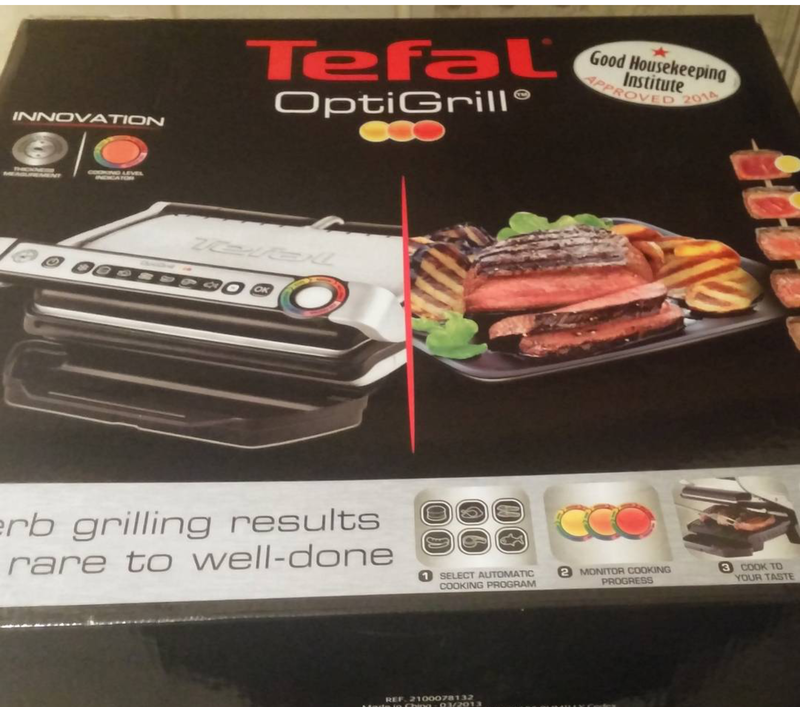 The Tefal OptiGrill is an electrically heated grill similar-similar to the George Foreman fat-reducing grilling machine. Tefals offering is said to cook the perfect steak every time, cooked exactly to your liking without needing to constantly check and worry about over or under cooking. 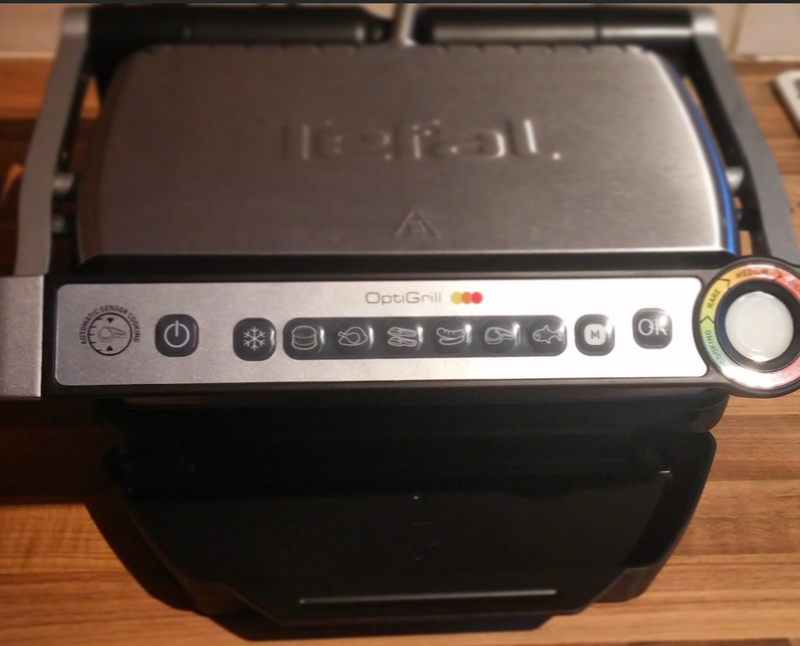 The OptiGrill boasts automatic sensor cooking, so the grill can adapt its cooking temperature depending on the thickness of the meat, promising to cook evenly. This is coupled with an LED Cooking Level indicator that alerts when food is cooked to your request. It changes colour to indicate whether the meat is rare (Yellow), medium (Orange), and then well done (Red). 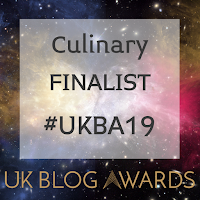 The indicator beeps at every stage of the cooking process and if you are aiming to prepare something well done and forget about it, the grill moves into a warming stage and stops cooking! The unit itself is actually quite large and in my small kitchen I could barely open it all the way due to my kitchen cupboards, but it was totally worth it. It's really simple to set up and just as simple to use. You start by selecting your meat from the options on the front, let it heat, add you meat, close the lid and let it do it's work! 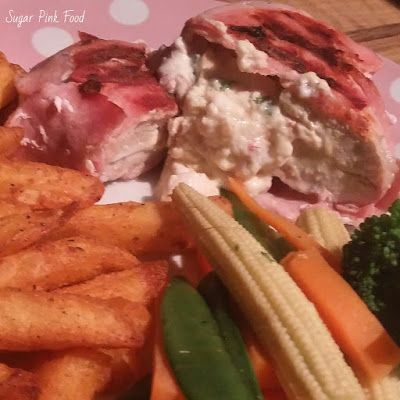 I tested it out first with some chicken breasts and because it's large I could fit around 4 on the grill with room to spare, and despite being worried about letting it cook chicken for me, it cooked all 4 breasts until they were succulent and delicious. I have used it multiple times since and it hasn't let me down yet. The drip tray ensures all excess fat is collected, and the shape of the grill means it all sides straight in there. 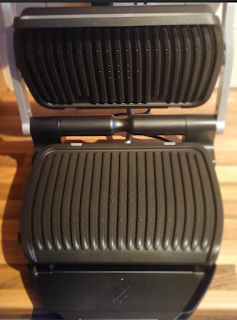 The grill plates themselves are removable so really easy to keep clean, which is a major plus for me. I would really recommend this grill, check out their website for more details. Here's my favourite recipe for the Tefal OptiGrill! Positives:- Cooks food perfectly, easy to clean, large enough to fit plenty on it, turns off when finished cooking, senses how to cook dependant on meat, tells you when it's finished cooking. This is every slimmers best friend! Lay the chicken breasts out flat, ready for stuffing. Ensure all the fat is trimmed off your bacon! Mix the fromage frais, cream cheese, parmesan, garlic, salt, jalapenos together. Spoon half of the mixture into one side of the chicken breast, fold over to seal. Wrap the bacon around the chicken to cover in full and make sure there are no gaps! Select the chicken option, let the grill heat. Add the breasts and shut the lid, let the grill do the work!